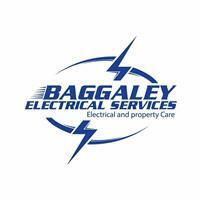 Baggaley Electrical Services - Alarms/Security, Electrician based in Chesterfield, Derbyshire. Hello my name is Jon and I run and operate Baggaley Electrical Services. I have been trading successfully since 1999 and have been a qualified Electrician since 1996 and a fully qualified Electrical Engineer since 1999. I have been self-employed since 1999 after working for several local to Chesterfield electrical contractors working nationwide undertaking domestic, commercial and industrial contracts. I undertake all types of electrical work and also undertake work in other areas such as CCTV and Alarms. I undertake small and large work and can turn my expertise to most things that are electrically biased. I am a family operated business that prides itself on customer care.